While not as expensive as buying a new car, purchasing a modular trade show display still requires a significant investment — especially for small businesses. So before you sign on the dotted line and place your order for a brand new modular display, make sure you kick the tires and ask the salesperson a LOT of questions. Here’s a helpful list to get you started. Question 1: What’s the out-the-door price? On average, a 10’x10’ custom modular display will cost anywhere between $4,000 and $15,000. Bear in mind, however, that this figure only includes the individual components plus a few shipping cases and perhaps a small lighting kit or two. Other items, such as the graphic panel design, printing and production, extra graphic storage cases (if desired), flooring, and additional lighting, are optional add-ons. 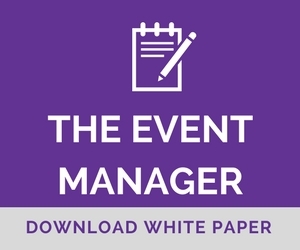 Your trade show vendor should be able to provide you with a line-item estimate that breaks down the total cost. Question 2: Can I use my own graphic designer? Normally, the answer to this question is yes. Graphic design is normally a separate service that the trade show vendor provides, but you are welcome to use your own in-house talent if you prefer. Most trade show vendors can provide you with graphic design spec sheets for each display piece you’re purchasing and customizing. Question 3: Do I have a choice about the type, quality or grade of graphic panels? With some modular displays, you can choose between fabric, vinyl, rigid substrates (like Sintra®) or even Plexiglas® for your graphic panels. Ask your trade show vendor about the benefits of each type as well as long-term durability. In addition, a lot of modular displays include several different fabric graphic panels, but most folks don’t know that there are different grades of fabric. Ask your trade show vendor if there’s a higher quality fabric than the “default” fabric — one that will resist wrinkling, stretching, warping, etc. The VersaWall DL31757N custom modular island exhibit from Nomadic Display features a combination of dye-sub fabric graphics and rigid infill graphic panels for a dramatic mix of texture and style. Question 4: What type of printing will be used for the graphics? The options include four-color printing, dye-sublimated printing and high-definition (HD) dye-sub. Ask your trade show vendor what type of printer they’ll be using and how old (or new) it is. Your sales staff and booth visitors will appreciate the eye-popping vividness of graphics that are printed using the latest technology. Question 5: What types of lighting can I use with this unit? Depending on the model, stem lights and backlighting kits are sometimes included, but often they are add-on purchases. The manufacturer will always provide suggestions as to the best type of lighting for each exhibit piece. However, you might want to try a different type of bulb (LED versus halogen, for example) or you might want a different color (warm white, cool white, or neutral white). A good trade show vendor will always ensure that the lighting you choose is appropriate for each component. Question 6: Will I need tools to put this together? And if so, are they included? Simple pieces like banner stands, backwalls and counters generally require few, if any, tools for setup. And if tools are needed, they are often included with your purchase. Larger modular display units, however, may require specialized tools and multiple staff members to set them up — or you may even the need to hire union labor, which is an additional expense. Make sure you take this into consideration when comparing several different modular displays side by side. Question 7: Is there any lockable storage included in this model? Most custom modular displays have lockable storage in at least one component — usually inside the booth counter. This is a great place for salespeople to store personal items or stash extra/unused marketing collateral. The VersaWall DL31754N 20’ custom modular island display features a lockable, walk-in storage tower. Question 8: Can you provide suggested floor layouts for 3 different booth sizes using these modular components? The beauty of custom modular displays is that they’re scalable, and exhibit components can be moved around to suit your needs at any particular show. Often, the manufacturer will have provided suggested layouts for various inline or island exhibit sizes, and for a minor upcharge, you can request additional floorplan layouts. However, since these are only generic plans, they may or may not include wire/cord management and electrical outlet access. By consulting with your trade show vendor early on, you can avoid making the mistake of trying a new configuration only to discover that you have to tape down electrical cords or try to get extra outlets at the last minute. Question 9: Can you provide a visual representation of suggested traffic flow as well? You may need to pay extra for this service, but it’s well worth the expense. Your trade show vendor will be able to visualize for you exactly how booth visitors should move through your exhibit, as well as how many salespeople and prospects can comfortably fit inside your booth at any given time, depending on which layout you choose. Question 10: How much does this model weigh and what’s the best way to get it to the show? Over the years, custom modular displays have grown lighter and lighter due to manufacturers constantly improving their materials. Some displays are so light that they can actually be checked as baggage and travel right along with your salespeople on the same flight. Ask your trade show vendor whether shipping cases with handles and wheels are available for your particular unit to make it easier for sales staff to get the components from the airport to the venue. Many units include shipping or storage cases along with the price of the piece, but if you’re facing a grueling show schedule with lots of long-distance travel, check to see if there’s a better, sturdier model to protect your assets. Of course, depending on the complexity of the exhibit and the building materials used, many modular displays must be shipped by more conventional means. Factor shipping and drayage into the cost per show so that you can get project an accurate ROI. The VersaWall ID43204N 10’x20’ inline custom modular display features a DIM weight of only 1645 lbs. Question 11: Are there any special storage considerations? It’s imperative that custom modular displays be stored in a climate-controlled environment. A storage area that gets too hot or cold can cause the display pieces to sweat, mildew, mold, crack or buckle, depending on the materials used. If you don’t have an appropriate storage space, ask your trade show vendor if they can store it for you at their warehouse. Question 12: What is the projected lifespan of this model? Obviously, the life of a modular display depends largely on the number of times you plan to use it in a year’s time, where and how it’s stored, and how well it’s handled during shipping, setup and tear down. However, in order to get a good return on your investment, you’ll want your modular display to last for at least two to three years. Question 13: Is there a manufacturer’s warranty? If so, how are warranty claims handled? The most reputable manufacturers generally include a one-year warranty on bases, frames and other key skeletal elements. Warranty claims are usually handled by the trade show vendor once they’ve inspected the unit for damages.